Mr de Almeida told the court that well-wishers who gave cash donations to the Madeleine Fund had been conned as the girl was dead and the money was being wasted. He said Portuguese police investigated whether they could launch a fraud inquiry to protect the £2million in the fund. But they abandoned the idea after it became apparent they had no jurisdiction – as the fund was held in the UK. He said: “There was a discussion with the British police about the fund because we couldn’t understand its purpose. We were concerned that there was a fraud being carried out. We asked our British colleagues about it and were told it would be very complicated. 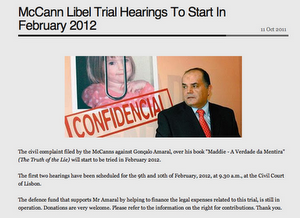 He said the British authorities refused to carry out any investigation into the McCanns or their friends. He told the court: “All they sent us was one A4 piece of paper. 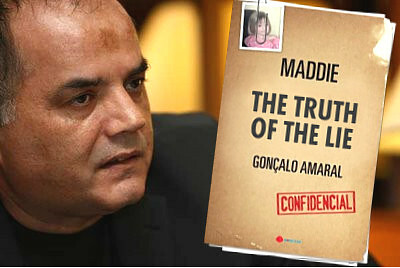 Portuguese police found the “merchandising” of the Madeleine Fund – the sale of wristbands – very strange.